Britain’s pubs are closing down because of Somali immigrants, a government minister has said, arguing that migrants are replacing white working class communities in the UK. 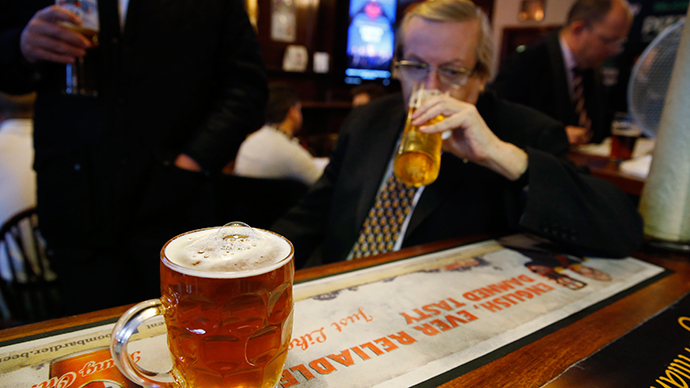 Stephen Williams, the Liberal Democrat communities minister, said that immigrants – most of whom do not drink alcohol – are partially responsible for the pub trade declining in some areas of the UK. Speaking to the House of Commons about aims to protect pubs in local communities, the minister unveiled new government plans to stop pubs from being converted into housing or other commercial uses. Williams – who is also the MP for Bristol West, which has 10,000-15,000 Somali residents – was referring to a clause in the Infrastructure Bill, which would allow people to have more say over the planning process of commercial businesses in their areas. “In my own constituency, lots of pubs have closed but it is usually because of demographic change,” the minister said. The minister added that while some pubs have been converted into other commercial sites or private accommodation, others remain derelict. His comments echo those made by Lord Hodgson of Astley in December, who blamed Muslim populations for pub closures. The comments prompted anger among some on social media, with one Facebook user, Sara Jevo saying that government austerity measures were the real reason businesses were struggling in the area. "Those pesky immigrants, moving here and refusing to get pissed up in bars, throwing up in the street, assaulting A & E staff ... I'm sure it's got nothing to do with your austerity measures," she said. "You know, the policies designed to take from the many in order to protect the wealth of the few. Course not," she added. According to the Bristol Post, the article was sent to Labour campaigners in Bristol, many who called the comments 'racist'. “To suggest I am a racist because of pointing out a demographic shift change as a statement of the facts is absurd,” he said.